We have had the longest. winter. ever. We've been cooped up inside, with temps far below zero, colder for longer, than anyone can remember for what feels like eternity. During that time, it has allowed us to pilfer through closets, dressers, nooks, crannies and everywhere in between. If you could SEE my 'guest room' - you'd faint. My husband jokes that he is going to snap a picture and send it in to the Hoaders TV show. Sadly, that's how that room looks right now - SCARY! oh, we've taken plenty to the second hand shops, tossed a bunch in the trash or recycled it. Because there is some cash in that pile...buried deep within the depths. then we need some serious attention put on our stuff! Build-a-Sign has many signs all made up and ready to order by simply visiting their website. You can do what we did -and custom design your own, vinyl, weather proof sign! Doesn't that look sooooo much better than the tiny 'garage sale' signs or the spray painted cardboard that you see around town? 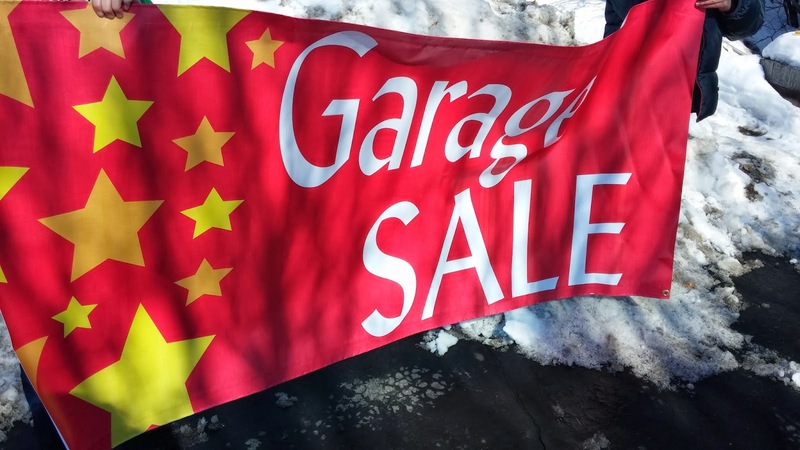 Our sign is 3 feet by 6 feet - done in red and yellow, with a bit of orange and white. This big, bright sign is sure to grab the attention of passers by, right? 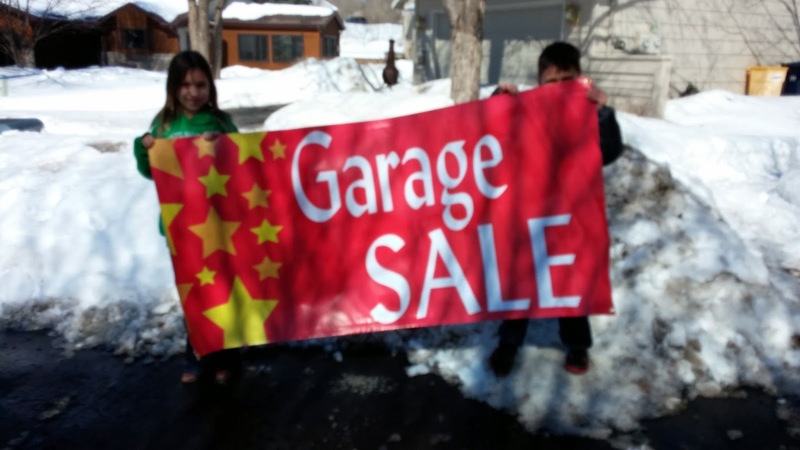 I'll know for sure as soon as this snow melts, because I'm not waiting much longer after that to pile my driveway full of 'treasures' that are just waiting for a new home!